Found this while looking for old photographs. 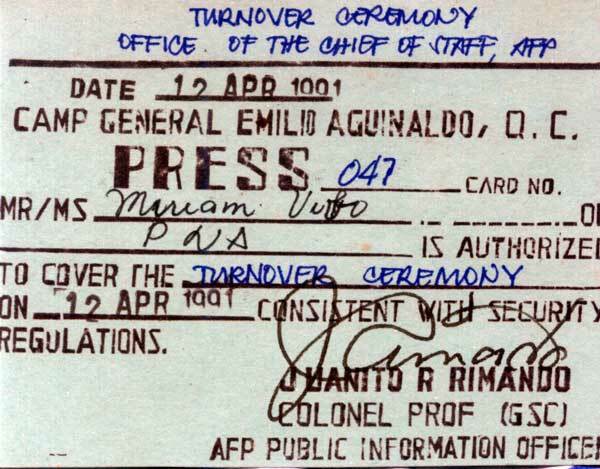 The info on the card says it all – its a press pass for a media coverage. I was a stringer of the Philippine News Agency then. This entry was posted in Nostalgic and tagged press pass on February 16, 2011 by Yami. dami mo taagang memories and merabilia from your former job ano sis..